If you've been bitten by the travel bug, then rejoice because a beautiful destination with interesting past stories awaits you. 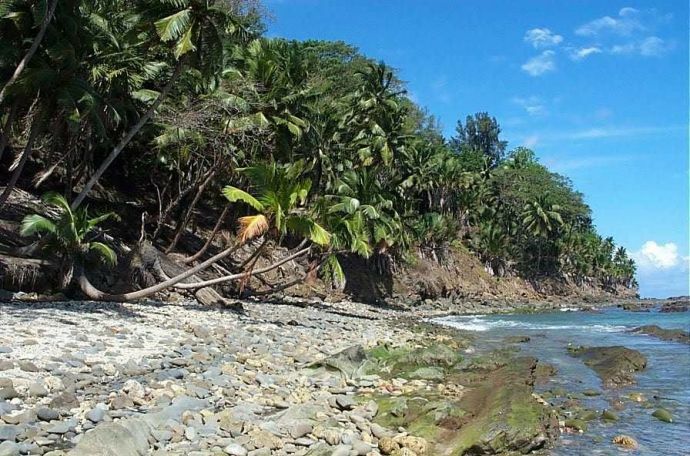 Popularly known as Ross Island, this scenic spot is worth visiting, especially if you love to stay close to nature. Located just approx. 3 kilometres east of Port Blair, this beautiful place is a part of the Andaman and Nicobar archipelago islands. With elegant beaches, amazing marine life, rich coral reefs and scattered- dense forest; this place just stands out in the way that the nature has nurtured it. 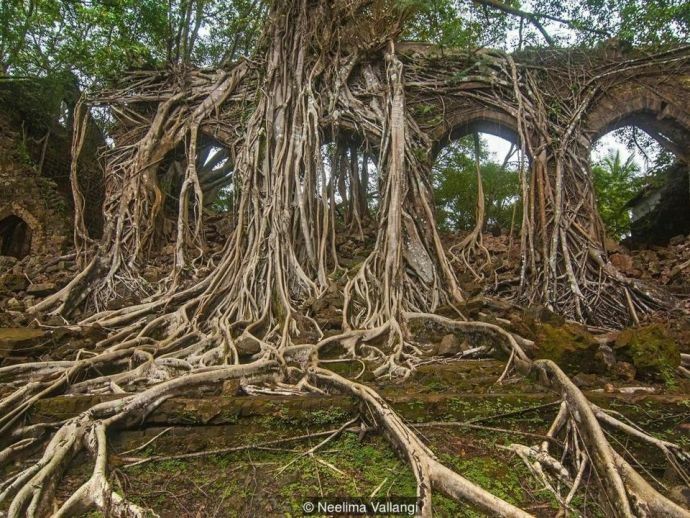 The ghost town/ ghost village got its name because of the 19th century ruins that stand as reminders of the British settlement. 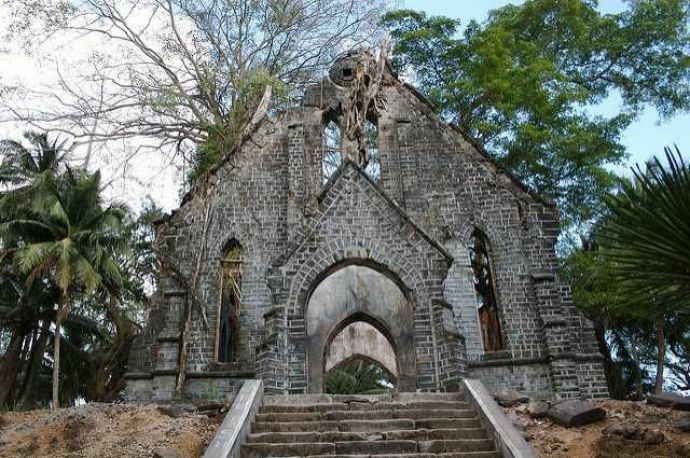 It is believed that the town had huge bungalows, churches, ballrooms and a graveyard. The revolt of 1857 made the British choose these remote islands as the site of a penal colony for Indian mutineers. The British first arrived in 1858 with 200 Indian convicts and selected this place for convict settlement due to availability of water. Named after the marine surveyor Captain Daniel Ross, the Island was Administrative Headquarters for 85 years. 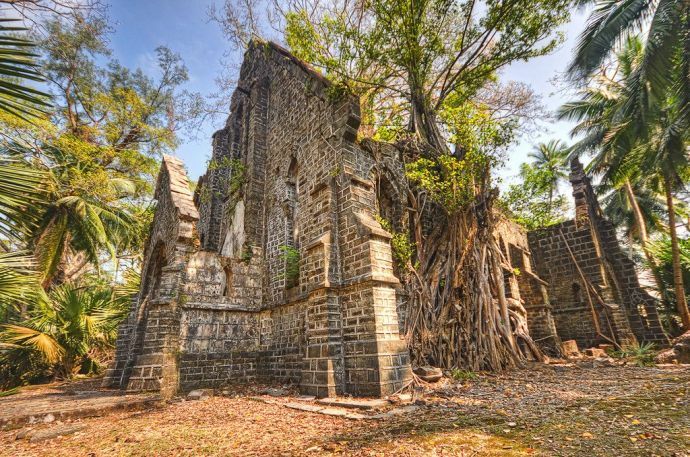 An earthquake that occured in 1941, made the British leave the island and shift their settlement to Port Blair. From the 1942 to 1945, the island was occupied by the Japanese. It was the time when Subhas Chandra Bose took the help of Japanese in his fight against the British. He lived there for a day in December 1943. On April 1979, the island was handed over to the Indian Navy. 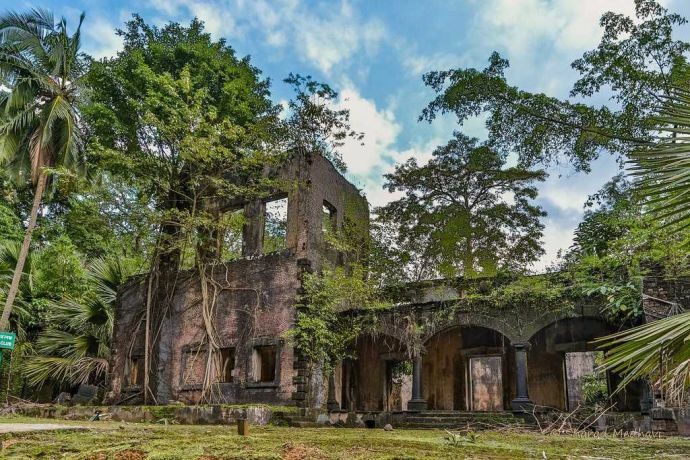 A small post called INS Jarawa, which was named after one of the indigenous tribes of the Andaman group of islands, was set up here that year.